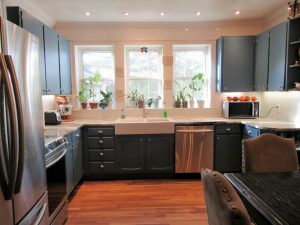 Painted kitchen cabinets is definitely the look for kitchens now. 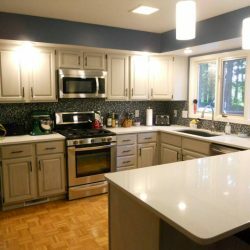 You may not realize that you can transform your kitchen by having your existing cabinets painted. 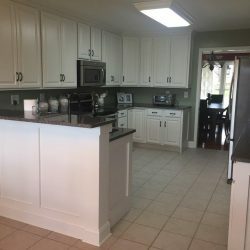 Whether it is a straight paint with a fresh new color or a decorative paint finish in a custom color, you can dramatically change the look of your kitchen and save thousands over having new cabinets installed. 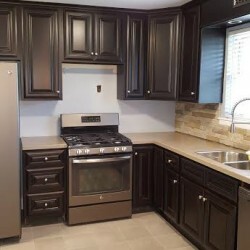 Read here to see how you can save thousands on kitchen remodeling in Johnson City with painted kitchen cabinets. 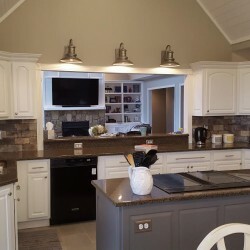 Building a new home or completely redoing your “dream kitchen”? 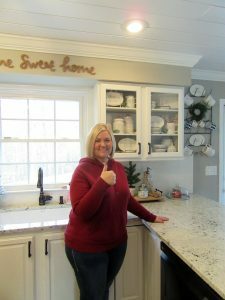 Vintage Chic Painting can help you achieve the perfect look with your cabinetry, create a custom look that looks like it came right out of a home magazine. 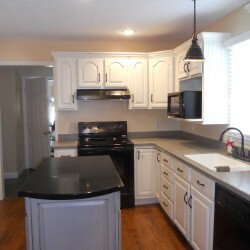 Estimates and consultations are free. 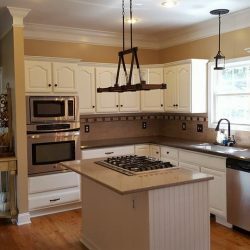 See the photo gallery at the bottom of this page to see many examples of painted kitchen cabinets Vintage Chic Painting has done for clients. 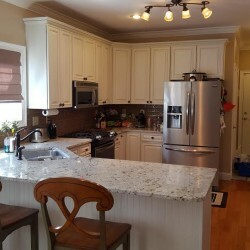 Click here for a description of each finish option that we offer. 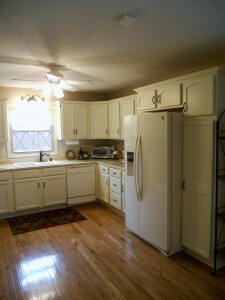 All painted kitchen cabinets by Vintage Chic Painting are backed by a ONE YEAR GUARANTEE. We stand behind all of our work! 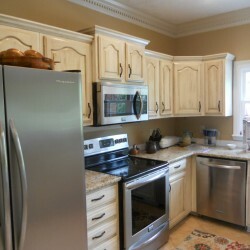 White with Custom Pinstripe. 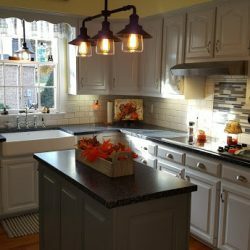 Click on image for full view of this kitchen project.